Konichiwa! A few days ago I finally received my Monsters University Ms. Squibbles/Squishy Tsum Tsum set..a Disney Store Japan exclusive! Since this set was never released in the US, I had to resort to a Japanese eBay store. It took a while to arrive but, as a massive Pixar Tsum Tsum collector, I couldn't be happier with this purchase. It was yet another "must have" for me. I mean, who doesn't love Squishy and his mom? 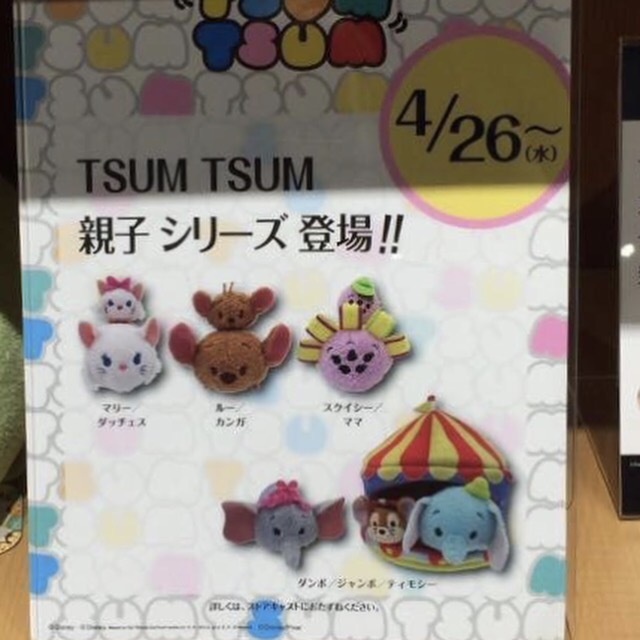 This was released back in April in honor of Mother's Day along with three other non-Pixar sets including: Kanga & Roo (Winnie the Pooh), Duchess & Marie (The Aristocats) and Dumbo's mom & Dumbo. 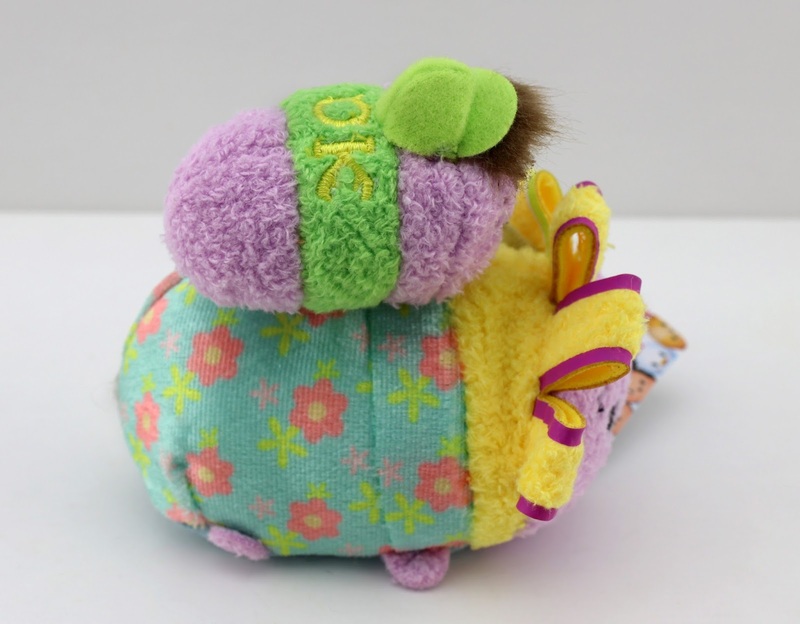 This Ms. Squibbles, AKA Sherry, is your standard mini Tsum Tsum (about 3 1/2" long) while Squishy is the new micro size (scaled down and about 2" long). They're actually sewn together (which I was surprised about, I thought they were separate and just stacked), but I suppose you could cut them apart if you feel so inclined. 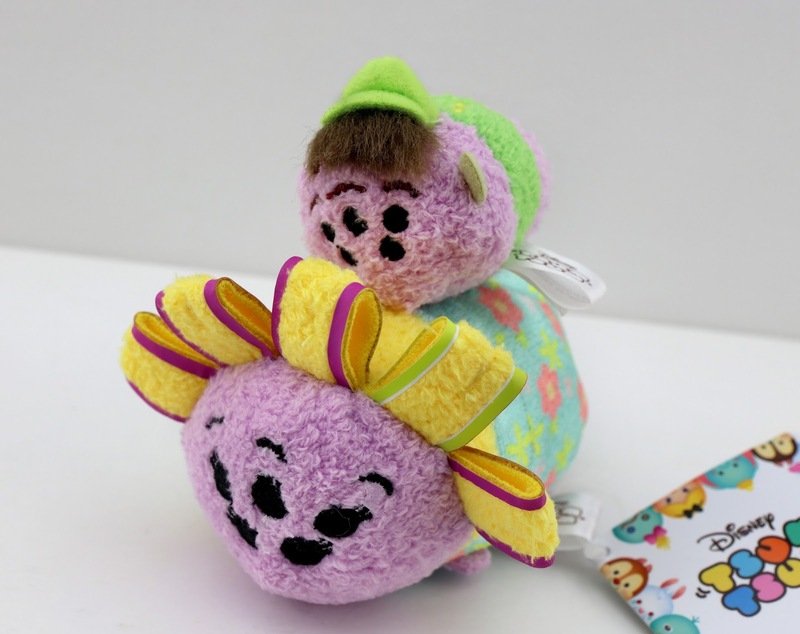 As usual with Tsum Tsums, the magic really is in the details. Just check out Squishy's little OK shirt, hat and fuzzy hair sticking out. It's just too cute! They even included their little horns (Squishy's mom's is being blocked by one of her "curls"), which was a nice touch that I'm glad they didn't leave out. Sheri's signature outfit and her multicolored hair curlers are captured perfectly as well! If you're interested in picking this set up yourself, definitely visit this direct link to current eBay listings (typically selling for around $20 these days). 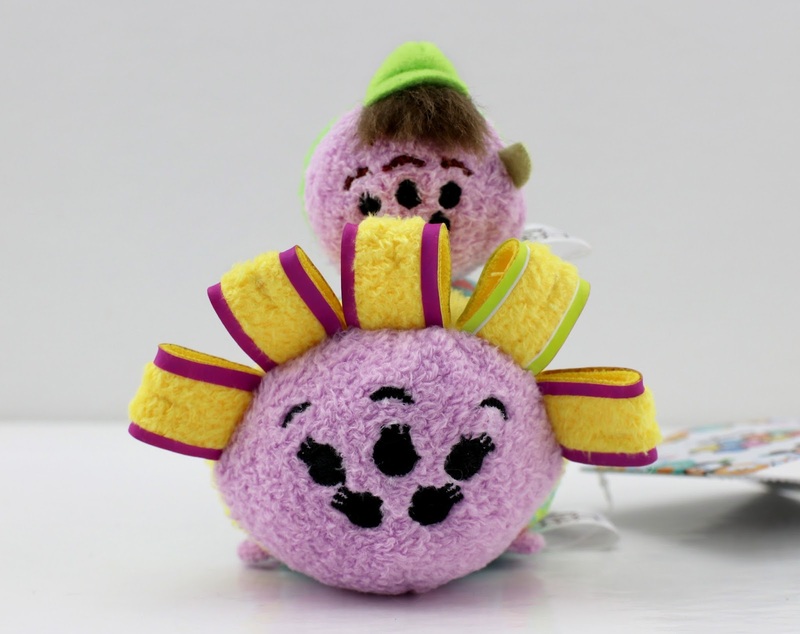 This really makes me want a full Monsters University Tsum Tsum set, which I assume they'll get to eventually (especially since we got a Monsters Inc. collection last year). It's only a matter of time! I would love to see MU Mike, Sulley, Art, Terri & Terry, Don, Randy and Johnny Worthington included. Who would be on your wish list? Shout out your thoughts in the comments below and be sure to follow along here daily for more from my ever expanding Pixar collection of merch and memories!